A fresh breeze blows through the spa, depolluting the skin of city-dwelling women with the effect of a vacation by the sea. The skin is intensely hydrated, signs of fatigue are erased, the complexion is more even and the skin regains its freshness. "Perfectly adapted to city-dwellers and smokers! It is ideal for anyone living a stressful life in a high pollution area. 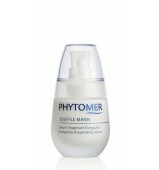 It is perfectly suited to dull and tired skin revealing early fine lines and dark spots. " *Satisfaction test conducted on 36 volunteers having received the CITYLIFE treatment suited to their need. 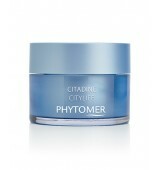 **Satisfaction test conducted on 18 volunteers having received the CITYLIFE treatment specifically for wrinkled skin. ***Satisfaction test conducted on 18 volunteers having received the CITYLIFE treatment specifically for an uneven complexion. A complete and depolluting cleanse that unclogs pores thanks to microscopic marine sponges that trap impurities and toxins. A water-in-oil serum with immediate comfort that revives tired, wrinkled skin by reducing signs of fatigue, dark circles and puffiness. 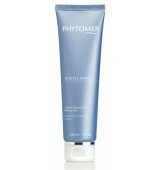 A gel-serum with an immediate refreshing effect that restores radiance to dull skin and reduces dark spots. A creamy balm with a hydrating, detoxifying and revitalizing effect to leave on and then massage for instantly fresher skin. Making the skin of city-dwelling women completely healthy with a personalized treatment for tired skin and uneven complexions.